LA TRINIDAD, Benguet – The municipal government will start hauling out its generated residual waste to the Urdaneta City sanitary landfill on September 5, 2018 after the cells of its Alno controlled dump facility were reportedly filled up. Mayor Romeo Salda said the hauling of the town’s residual waste was supposed to start last September 1, 2018 but concerned technical personnel of the local government were able to find an area where the garbage will be temporarily dumped up to September 4, 2018. “We have no recourse but to embrace hauling as a temporary solution in the disposal of our residual waste while we are working on the other available cells of our Alno controlled dump facility,” Mayor Salda stressed. The local chief executive claimed that the local government is also finalizing the terms and conditions of their contract with the management of the Urdaneta City sanitary landfill so that things will go on smoothly once hauling will start within the week. Under the proposed terms and conditions of the agreement, garbage trucks of the municipality will be the ones to bring the town’s residual waste to Urdenta wherein the local government will be charged P640 per ton as tipping fee. Salda claimed the town is producing some 30 tons of garbage from the 16 barangays daily which will be immediately hauled out by the garbage trucks to the landfill site for proper disposal. 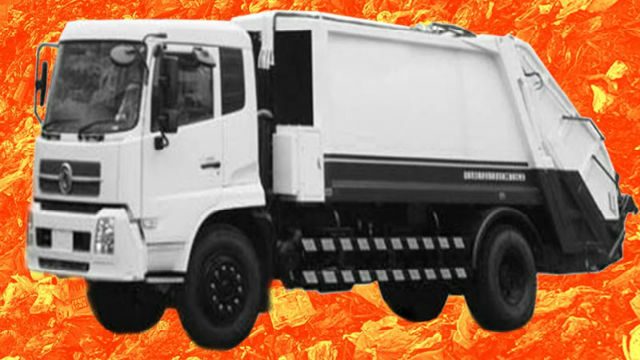 According to him, the local government will also be utilizing the P9.4 million earmarked for equipment in the current budget of the municipality to purchase additional garbage trucks which will be used to sustain the collection of garbage in the barangays and the subsequent hauling of the generated residual waste to Urdaneta. For the past several years, the local government was able to utilize several cells of its Alno controlled dump facility in the dumping of its waste but the huge volume of garbage generated from the increasing number of households and businesses in the different barangays have made the lifespan of the facility much shorter thereby resulting to the hauling of garbage outside the town. Salda assured that the hauling of the town’s generated residual waste to Urdaneta will just be a stop gap solution to prevent the occurrence of a serious garbage disposal problem while efforts are being done to improve other available cells in its existing controlled dump facility. He claimed that he will try to lobby with the landfill management to further reduce the proposed P640 per ton tipping fee that will be charged the municipal government when it will start availing of the services of the landfill site. He claimed that the purchase of the additional garbage trucks will be used to cater to the growing garbage collection activities in the town’s 16 barangays due to the continuous increase in the number of people wanting to study, live, work and do business in the locality. La Trinidad is being groomed as the third city in the Cordillera after it was able to meet the income and population requirements while its land area is not sufficient to meet the minimum requirement of 10,000 hectares for it to qualify as a full pledged city.